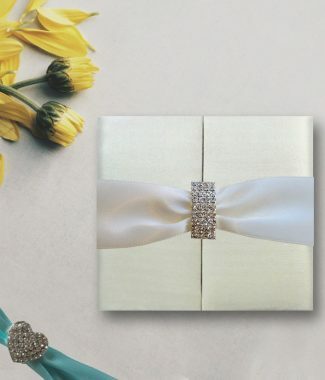 Announce your new last name in pure sophistication with this luxury monogram embroidered wedding portfolio. 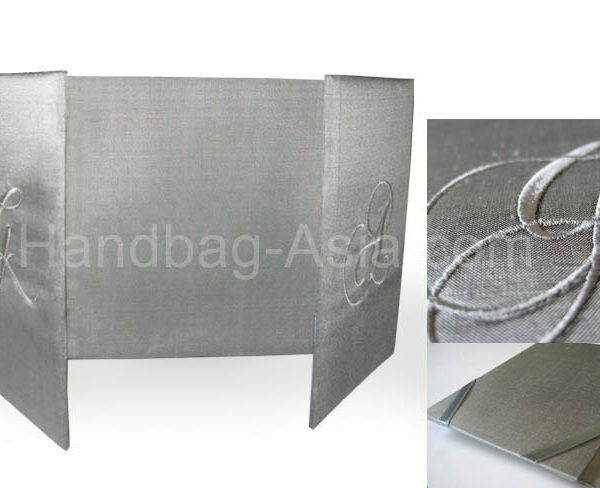 We offer an extensive design library with hundreds of motifs that can be embroidered right onto the folio. 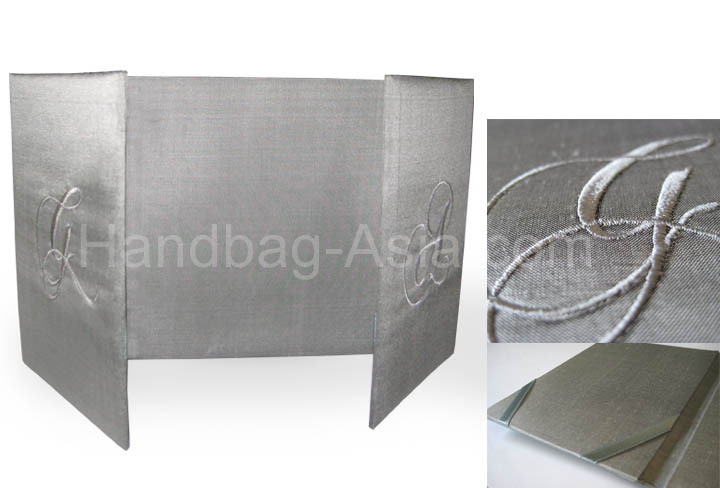 Pocket-fold silk wedding invitation folder. Featuring initial embroideries of initials bride left, bridegroom right. 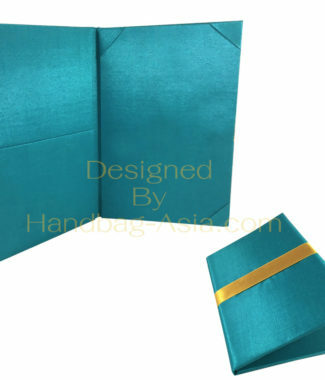 Padded outside, ribbon holder in middle for invitation card and on both doors inside for RSVP etc. 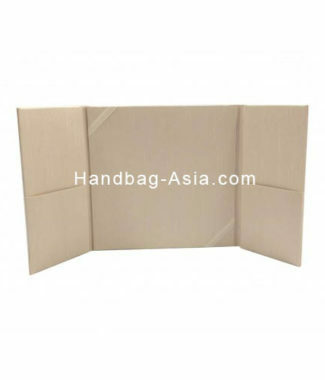 All parts are covered with fine silk and handmade by Handbag-Asia.com highly skilled staff.